It might be a bit of a long journey to obtaining High-End weapon blueprints and rewards in The Division 2, but it's well worth the effort. In this Division 2 High-End blueprints guide, we'll be walking you through where to find High-End blueprints in The Division 2, so you can get on with obtaining some of the best weapons in the entire game. But if you instead need any additional information on Ubisoft's online shooter sequel, you can check out our full Division 2 tips page. It's here that you can find all the essential tips and information that all Division Agents should know. You might think that once you've hit the level cap of 30 in The Division 2, that you've attained the highest level in the game. You'd be wrong in assuming this however, as there are several extra type of levels you can attain once you've maxed out your character's overall level through gaining XP. Firstly, you need to complete the three Strongholds in The Division 2. These are incredibly difficult, and really are meant for the very best players in the game to group up and attack them together. 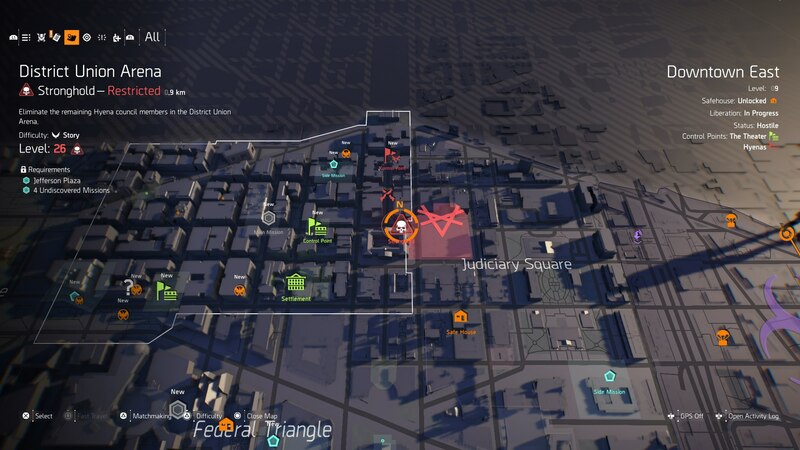 The three Strongholds are Capitol Building, Roosevelt Island, and District Union Arena, all of which you can see at any point in the game, on your map screen. Once you've completed all three Strongholds, you'll have attained 'World Tier 1' rank. This is a level rank that's entirely exclusive to the game endgame portion of The Division 2. You now need to get to World Tier 3 rank, and in order to do this, you first need to head back to your home base in the White House. Invaded version of the Grand Washington Hotel mission. Invaded version of the Jefferson Trade Center mission. Complete the corresponding Stronghold mission to advance World Tiers. When you've finally attained World Tier rank 4, you're ready to get tracking down some High-End weapon blueprints in The Division 2. So, now that you've finally reached World Tier 4, what's next? 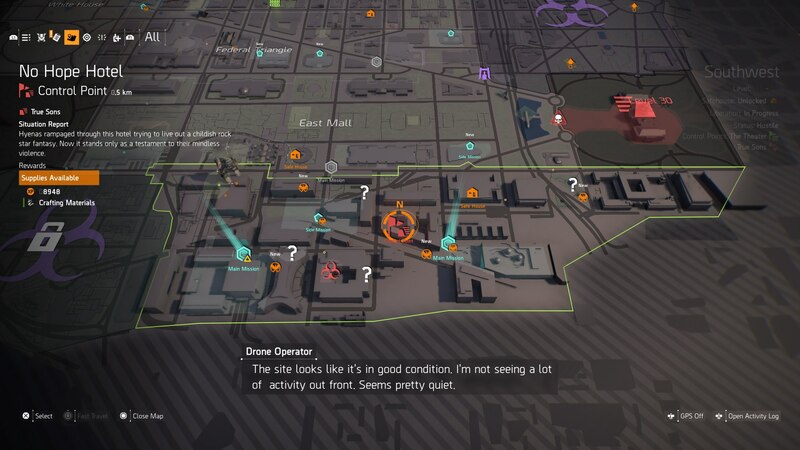 The first thing that you need to do is bring up the world map screen in The Division 2, and find a Control Point that's currently in enemy hands. It doesn't matter where the Control Point is, just as long as it's controlled by enemy forces. Now, identify the activities in the surrounding area, which are linked to this enemy Control Point. When you're hovering near the enemy Control Point on the map screen, you'll see a red line connecting the Control Point to three nearby activities. These could include a public execution, or a hijacked radio broadcast, for example. Every time you take on and successfully complete a world activity that's linked to a specific Control Point, the level of that Control Point will increase by one. All Control Points start on level one, and so you need to complete two world activities, to raise the overall level of the Control Point to level three. If you can manage to raise the level of this Control Point to level three, and then successfully complete said Control Point, you're going to guarantee yourself a High-End weapon blueprint. Keep in mind that you will earn other, less powerful rewards if you complete a Control Point on level one or two, but if it's High-End blueprints you're after, then you need to complete the Control Point on level three. 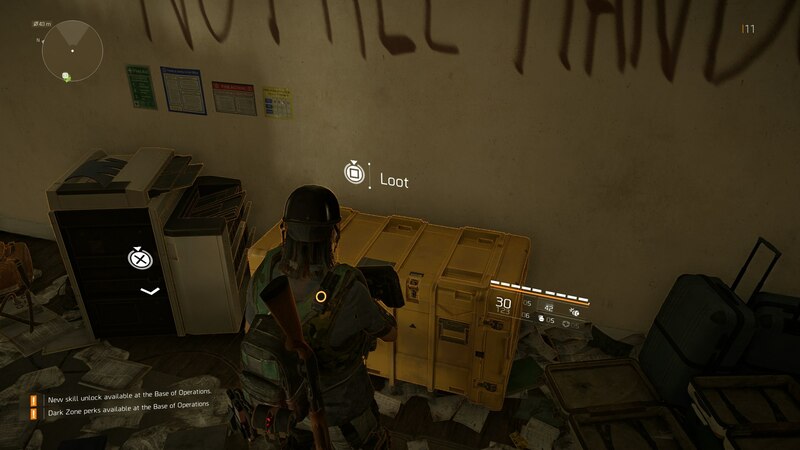 To take advantage of blueprints in The Division 2, you need to head back to your base of operations in the White House. When you're here, seek out and use the Crafting Station, and enter the 'Weapons' menu option on the screen. You'll now be able to survey and craft all of the High-End blueprints that you've obtained through the method that we've described in this guide.